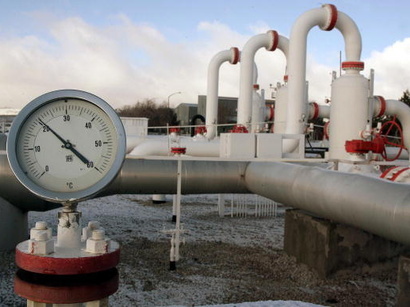 Azerbaijan will meet 25-30 percent of Bulgaria’s gas needs in 2020, Rosen Simitchiev, adviser to energy minister of Bulgaria, said June 13 at the international conference titled “Southern Gas Corridor and Energy Security in South-East Europe” in Baku. He noted that ensuring energy security and diversifying energy supplies are key priorities for Bulgaria and the EU. The Southern Gas Corridor enhances Europe’s energy security, he noted, adding that Azerbaijan is not only the main source, but also a key partner in the project’s implementation. The official opening ceremony of the Southern Gas Corridor was held at the Sangachal terminal, Baku, May 29. As part of the Shah Deniz Stage 2, the gas will be exported to Turkey and European markets via the South Caucasus Pipeline, Trans-Anatolian Natural Gas Pipeline (TANAP) and Trans Adriatic Pipeline (TAP).